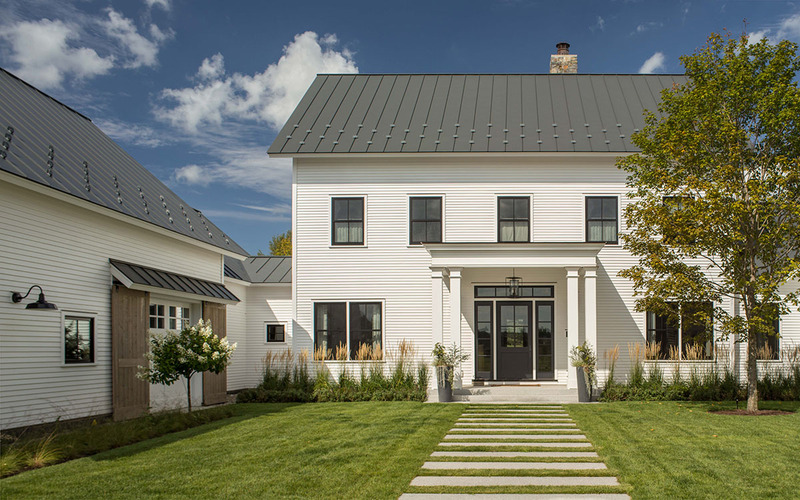 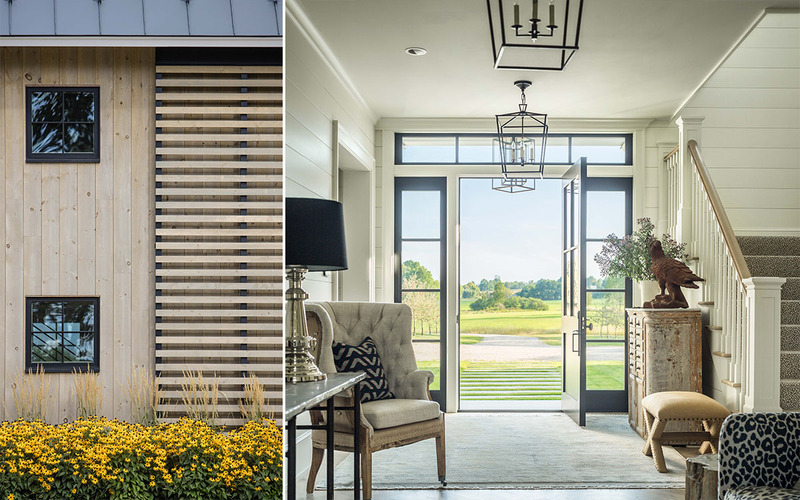 This contemporary farmhouse borrows its inspiration from the historic connected farm buildings of New England. 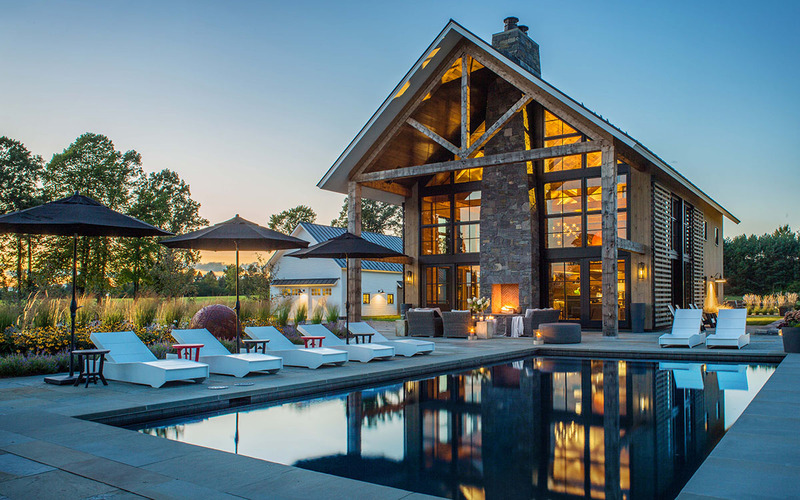 The house sits comfortably amid pastures, barns and farmhouses, which have populated the rural New England landscape for decades. 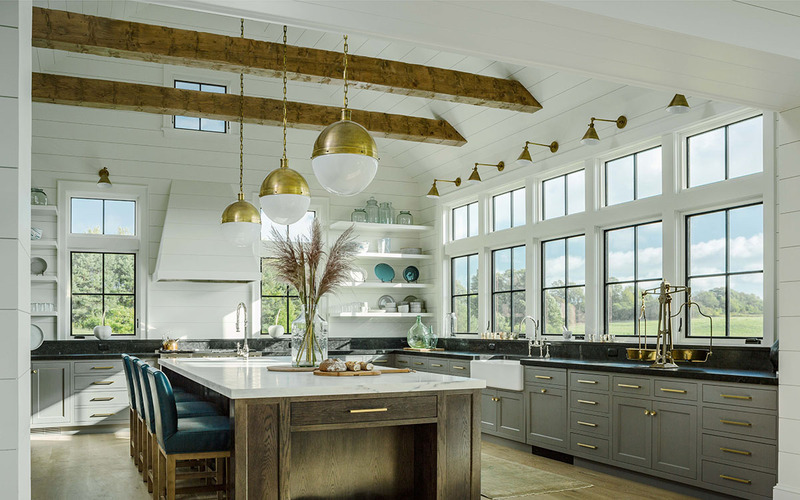 The barn windows unify the contemporary architecture with the traditional post and beam cathedral ceilings. 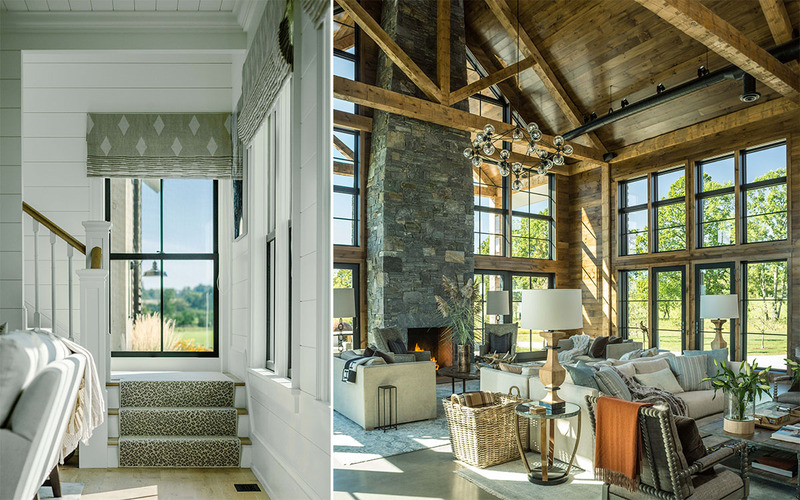 The juxtaposition of the windows and traditional forms emphasize the beauty of the sweeping views.